Patriarchy caused a disturbance and society is suffering. The development of mankind is evolving faster and faster. With high speed our knowledge and technological abilities are increasing. it is necessary that we humans achieve a higher level of consciousness. Because of a lack of this higher consciousness we witness: exploitation and destruction of our planet, climate and society. and helps us to reach higher levels. When we reach the higher consciousness as a person and as mankind, we are able to transform the planet, mankind and our life. bliss, happiness, peace, freedom, creativity, health and so much more. can connect their own energy system with the divine energy. That we become part of the new mankind. She is bringing us amazing blessings and divine gifts. "So God created mankind in his own image, in the image of God he created them, male and female he created them"
So God was and is Male and female. This is the Holy Trinity! Mary is the mother of the human part of Jesus. And Holy Spirit = Holy Mother is the mother of the God part of Jesus. Holy Spirit and Mary are together One Mother of Jesus. with the moon under her feet, and on her head a crown of twelve stars". And now the Holy Mother is here on earth to lead us! We had the age of Holy Father when he was here on earth ... time of temple. Then the age of Holy Son when Jesus was here on earth. like Jesus founded the priesthood. patriarchy has prevented that women took their rightful places in church as Royal Queens. As reaction female activists tried to become males and to become priests. Mankind and church needs both parts. The royal Queens and the Holy Priests. 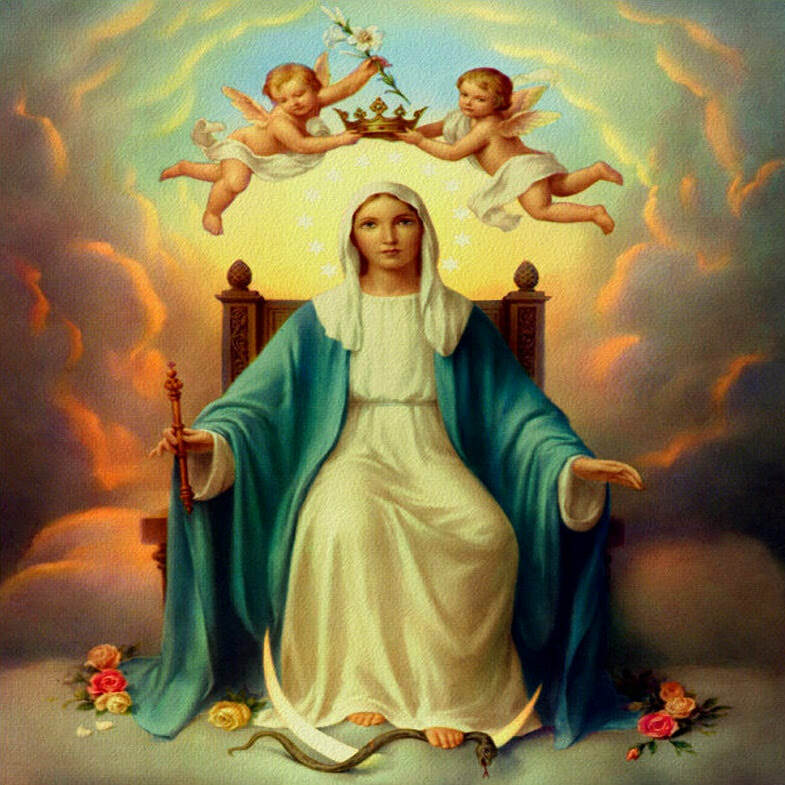 Now the Holy Mother is reigning and we live in matriarchy. It is time for all the chosen Queens to step up and follow their calling.